As time passes, essay writing becomes more and more complicated. Soon, to be able to write an excellent essay, you have to conduct research, think the whole thing through, and work on it for much longer in general. And when you think you’re finally done, there’s still proofreading and editing waiting for you. Sounds kind of nightmarish, right? Well, it depends. Some can deal with this task quickly, while others have struggled with essays since primary school. But how do you define essay writing? Are there many different types of essays? Let’s find the answers to these questions right now. Also, while we’re at it, let’s talk about how to write an essay. We’ll go through each stage of the essay writing process and point out all the essential details of the creation process. You think that’s it? No, there’s even more! You’ll also find a bunch of tips you can use to make writing an essay much easier. And there will be a couple of useful links with various essay topics to choose from. So, with these tips, essay writing will become an easy task. Even for those who have always gone through a serious struggle to write one. Why not clear this up right away? Bear with us. It won't take long to explain. We’ll try to make it as simple as possible. In general, an essay is a written work that gives the author's own opinion or argument on a particular topic. This type of writing usually crosses over with other works of similar types, such as pamphlets, articles, and short stories. Therefore, even the essential characteristics of the essay may vary. There’s also another sub-classification: formal and informal. And that's what brings in such diversity. Which, in turn, causes various essay definitions to appear. Among the other fundamental features of an essay, formal essays are lengthy, strictly and logically organized, and involve specialized terminology. Informal essays, in contrast, carry a lot more "personality," have more of a conversational writing style, and quite often include humor. It’s no secret that every kind of written work has some method of classification. And essays are no exception. Students, authors, journalists, and professional essayists all create various types of essays. Argumentative essays: This is one of the types of essay writing that provides an analysis of a subject on a single topic. The primary purpose is to provide either a positive or negative opinion. This kind of essay requires investigation and research. History essays: This type of essay can also be referred to as a thesis essay. It discusses a particular historical event or describes an issue. To support the main point, the writer presents arguments, references, and pieces of evidence. Familiar essays: A familiar essay is when the author is "speaking" to a single reader. Along with describing a specific subject, the author also writes about himself and the reader. Descriptive essays: The key to writing a descriptive piece is in details—the small features that appeal to readers' physical, emotional, and intellectual senses. In a descriptive essay, the author creates a strong impression by using expressive language, organizes thoughts in a logical order, considers the target audience, and determines the purpose of the essay itself. Cause and effect essays: One of the defining features of this kind of essay is that it has a logical chain that connects a specific cause and effect. Also, this type of composition involves a chronological order of writing and careful language. Narrative essays: The narrative essay focuses on a specific plot. It involves transitions, flashbacks, and forward jumps in the narration (apart from this, the text usually follows a chronological arrangement). All of these components then lead to a climax. Reflective essays: This is more of an analytical type of writing. Along with describing a specific event, memory, interaction, or scene (real or imaginary), the author also adds a personal reflection on what this all means to him or her (hence the name). Dialectic essays: This essay style finds the most use in philosophy. In this type of writing, the author makes a statement, argument, or thesis and then objects to his own words. After that, he delivers another counterargument to the previous one, ending up with a final renewed statement. Classification and division essays: These are two different types of essays, but they nonetheless share a common ground. Classification essays group specific objects into a whole, while division essays break down a broad topic into smaller components. Economic essays: This type of writing starts either with a thesis or a theme. It then takes a descriptive or narrative path of development. Shaping this kind of essay is straightforward; the description of economic matters, analysis, evaluation, and conclusion all stay the same. Compare and contrast essays: The names of these types of essays speak for themselves. Compare essays highlight similarities between subjects, and contrast essays point out the differences. Exemplification essays: In an exemplification essay, the author usually takes a bunch of representative and relevant examples and generalizes them. This method helps bring a new perspective to a particular topic and draws a bigger picture as a whole if the topic consists of multiple components. Apart from the types of essays mentioned above, there are plenty more organizational structures and logical progressions available. After understanding the main principles of how to logically progress through an essay, you can even come up with an essay type of your own! These custom types usually have even more impact, as they look unlike anything that’s ever been seen before. Let’s now move on to the writing process itself. 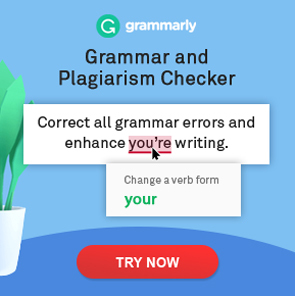 We'll see just how easy it will be for you to create your own unique essay. Again, as with any other written work, an essay has a specific set of steps or stages to complete. It’s not like you have no other choice but to follow these steps. But you can use the stages described below as a good beginning framework. In following these steps, you’ll see that the whole process becomes much more organized. And there won’t be a single minute wasted, as you’ll know exactly what to do next and what parts of the essay to include. Here are the stages of writing an essay. This stage of essay writing includes selecting a topic (if you aren’t given one), analyzing the problem, and brainstorming the main ideas. Let’s do a quick rundown. When choosing a topic, you need to focus on a subject you’re interested in. Otherwise, writing an essay will become a major chore. After deciding on the field you’re going to be working in, narrow your selection down to a single specific problem. This way you’ll avoid unnecessary rambling, and your essay will get right to the point. We’ll talk more about topic selection below and provide you with a couple of helpful links, so don’t go anywhere. When analyzing your topic, it's not enough just to read it all carefully. Instead, underline the keywords and try to explain it in your own words. This will bring you an understanding of what you're going to write. And exactly how you will deliver it. Stay focused on the ideas at this point. You can think about how to write an essay introduction later. When brainstorming, write down every single idea, regardless of how good you think it is. You’ll then select the strongest ones, those that fit your topic in the best way and cover all the aspects you want to talk about. At this point, you’re going to be formulating your thesis statement and creating an essay outline. There’s also literature research to do, which can fall in either the first or the second stage. Researching the literature is where all that topic analysis and brainstorming you did previously will come into play. That’s because you’ll now be using the keywords and working around the main ideas you’ve selected to find the most relevant resources. Do a critical evaluation of your sources to see how much use they will actually have. And after deciding which sources you’re going to use, make a reference list. It’s important to do this before you start writing so that it’s easier to incorporate quotes. When formulating a thesis statement, you need to express your opinion on the topic. Don’t say your opinion directly, though. Otherwise, there won’t be any need to read the rest of the essay. Just make it as clear as possible. This is where brainstorming comes in handy again, so you’d better not skimp on that beginning step. This statement is too broad. The main idea is unclear, so the reader will be left to guess what you're going to talk about. This statement delivers a clear message. It narrows down the topic, and at the same time, it leaves enough room for further development of the main idea. And now, let’s look at your essay outline. To come up with a suitable outline, you need to analyze all the information you’ve gathered so far. Make a summary for yourself. Name the paragraphs and leave space between them so you can write down ideas of what you're going to talk about in those sections. Here’s a rough sample you can use to write an essay outline of your own. You can modify it however you need for it to fit your requirements. Naturally, your outline may look different depending on the type of essay you choose. So now you won’t even need to look for an essay outline template online! Needless to say, you have to hook your readers’ attention within the very first few sentences. As with any other type of writing, you should start every paragraph with the main idea. Stick to this rule, and you’ll be able to deliver clear messages without any difficulties. All the sentences in your essay need to come together to create a whole, complete story—not just a bunch of unrelated thoughts loosely bound by a single theme. Summarize all the info you’ve given in the conclusion. After reading your essay, the reader should have a very clear idea of what the essay was about. The transition between paragraphs must be smooth. Repeat keywords and use linking words and expressions. The narration of your essay needs to develop logically. Provide enough background info in your introductory paragraph. Don’t sweat too much trying to make your essay perfect from the very first attempt. There’s still revision, editing, and proofreading ahead. You can get rid of all the imperfections at those later stages. At this stage, your essay will experience the most drastic changes. For instance, you might have to add some more content in case you haven’t described your idea clearly enough. Maybe you’ll even have to add a full paragraph that you originally planned to leave out. On the other hand, you may also want to remove some information if you feel that your essay is overloaded. Or you can just replace unnecessary text with something more relevant and to the point. Check the overall flow of your essay and don’t be afraid to change things around if the argument doesn’t seem like it develops naturally. You can also make a comparison with essay writing samples of the same type. This will give you a clearer understanding of what your own essay should look like. The essay samples don’t have to be on the same topic, or even in the same discipline. You’re just looking for an idea of how to shape your work. After you’ve done all that, you can move on to the next stage. You’ll be dealing with all the technical issues at the editing stage. You want to look at sentence clarity, eliminate repetition, and check for punctuation, spelling, and grammar. Editing is a detail-oriented process, so you need to pay a lot of attention while doing it. Start by checking for misspelled words and grammar. These are the aspects that usually bring the most mistakes. If you’re already aware of your writing weaknesses, you can even make a checklist with things to look for in the first place. This is where you’ll check your essay as if you were a reader, not the one who created it. You should read the whole essay carefully, sentence by sentence. The main idea here is to find and eliminate all the tiny imperfections that you missed at the previous stages. Print out your essay for more convenience. By reviewing it on paper, you’re more likely to spot mistakes than while reading from the screen. Your friends can help out, too, if they’re willing to let you read your essay aloud to them. You’ll get instant feedback in case anything sounds wrong. Here are a few useful tips to make your essay writing even more natural. Make use of a dictionary and thesaurus. You can always check the meaning of any unfamiliar words. And a thesaurus will help you find synonyms if you need to rephrase something or avoid repetition. Use mind mapping during the brainstorming stage to make your ideas and the connections between them more visual. Don’t simplify your thesis too much. You need to show that you put some thought into it. Involve time-tested essay writing strategies. Check essay examples to become more confident in your writing. We hope that after reading this post, essay writing won’t seem like a difficult task anymore. Following the steps isn’t hard. And after just a bit of practice, you'll see that writing an essay can be enjoyable and straightforward enough. How to Study Effectively: 11 Tricks to Save Time Studying	How to Use the Right Gender-Neutral Pronouns in Academic Writing?